Poco F1 is one of the popular and most selling budget flagship killer Android device by Xiaomi in India. It comes with so many flagship-grade features and specifications out-of-the-box. The device runs on Xiaomi’s MIUI custom skin with a dedicated Poco Launcher by default. The handset has already received the Android 9 Pie update. 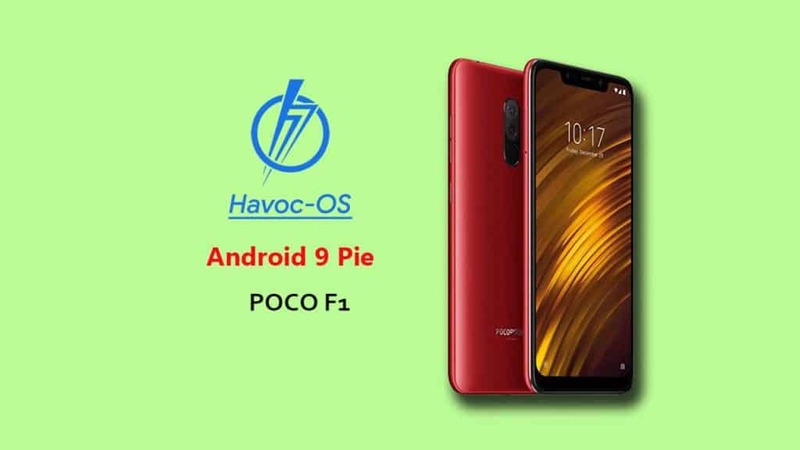 But if you’re a flashoholic and want to taste a new custom Pie-based ROM on your Pocophone F1, here is the guide on how to download and install Havoc OS on Poco F1. But before going to the flashing requirements and process, you should check out the Havoc OS features and other details as well. Now let’s talk about how to download and install Havoc OS on Poco F1 based on Android 9 Pie. This guide and files are only for Poco F1. Don’t try to flash these files on any other device. Your device bootloader should be unlocked at first. If not then unlock here. Download twrp.img file for Poco F1 and copy it on your device. Please Note: MIUI v8.12.20 Global ROM (Pie) is required to do a clean install for the latest Havoc OS v2.4. You can Download the MIUI-8.12.20.zip Recovery ROM file. Open into TWRP recovery mode. Tap on Install button and search for the MIUI 8.12.20 ROM file. Go to Wipe option and select Data, System, Cache then Swipe to wipe. (Your Data will be lost) Necessary step. Now, flash the Havoc OS ROM + GApps file. Wait for the complete installation > reboot your Poco F1. If you’re not coming from the MIUI 8.12.20 Global ROM, flash the stock ROM & vendor at first. Now, you can flash Havoc OS and GApps file.